Have I said before that I love virtualization? Because I really, really do. In my original Hyper-V implementation, I used two Dell R410’s, each with 32 GB of RAM (4 sticks) and 1 Xeon 5630 processor. It’s been a little bit of time since then, with some additional VM’s brought online for various services. My benchmarks showed it was time to upgrade the cluster, mostly for RAM failover amounts; I can’t go below 50% available RAM otherwise all the VM’s won’t be able to run on one host. 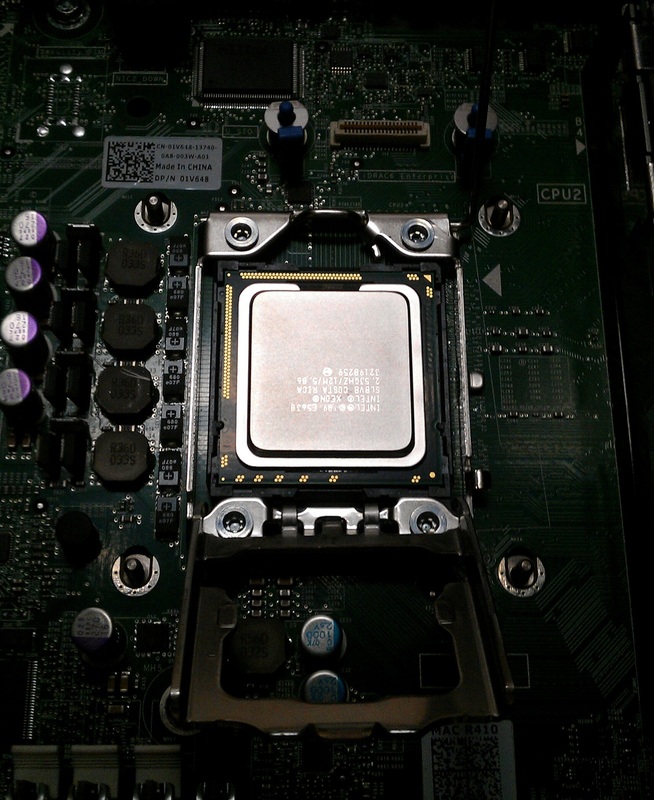 So I called up my Dell rep, ordered 2 x Xeon 5630 and 8 x 8 GB of RAM, and today installed them. The install went very smoothly, and because of the Hyper-V cluster and Live Migration, occurred in the middle of the day without downtime or interruption. Manually drained a host (Windows Server 2012 will have this as a feature, which is nice). Turned off server, slide out from the rack (Man do I love the RapidRails). 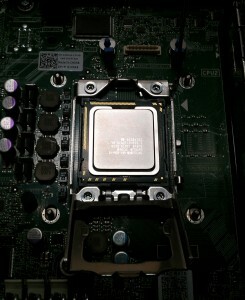 Removed the CPU filler, and inserted the new processor. Attached the passive heatsink, and screwed it into the mounts. And that’s it! Just like that, I’ve doubled the capacity of my infrastructure, and it took under an hour.